This collection of professional, passionate speeches on various topics challenges the audience to consider what makes a successful life. Making a Living, Making a Life is a collection of speeches and essays by Daniel Rose. Visitors to Faneuil Hall and Quincy Market in Boston or to Pentagon City in Arlington, Virginia, might know Mr. Rose through his work as a real estate developer. Through this book, they should also come to know him for his is civic and philanthropic pursuits. These interests include “education, economics, social problems, religion, history, philanthropy, and real estate.” The majority of the forty-eight entries in this book are speeches. Rose speaks with passion and optimism, whether he’s addressing a high school graduating class or the Yale Club of Ghana. He is an enthusiastic forward thinker even when the topic is as complex and difficult as the US relationship with Iran. He speaks with the authority of his experiences as a businessman; as an advisor to presidents and national, state, and city commissions; and as the founder of the Harlem Educational Activities Fund. He also incorporates quantitative evidence, history, and the wisdom of quotable thinkers such as Aristotle, Einstein, Edmund Burke, and Winston Churchill. These elements contribute to clear and direct writing and make his presentation delightful. Most importantly, Rose challenges his audience to consider the definition of a successful life. Often, the advice offered in Making a Living, Making a Life is applicable to a broad audience, even if it was originally aimed at real estate professionals or high school seniors. Such is the case with bits of wisdom like “Put money in proper perspective.” However, some subjects, like the definition of a great city, may be of interest solely to urban designers, for instance. The speech conveying the Moynihan Prize on Diane Ravitch or the speech explaining the selection of menu items at the dinner for the Eldridge Street Project have no broader or more general application than the original audience. Though a speech may be intelligently written, not all subjects are timeless. With this book, Rose hopes to “stimulate the reader’s own reflections.” To fully accomplish this purpose, he might consider organizing the contents around topics or themes. For instance, pieces that deal with business ethics or the future of democracy might appear in separate subcategories. Topical organization can direct and support the reading experience by creating a context beyond merely identifying where the essay was published or when and to whom the speech was addressed. 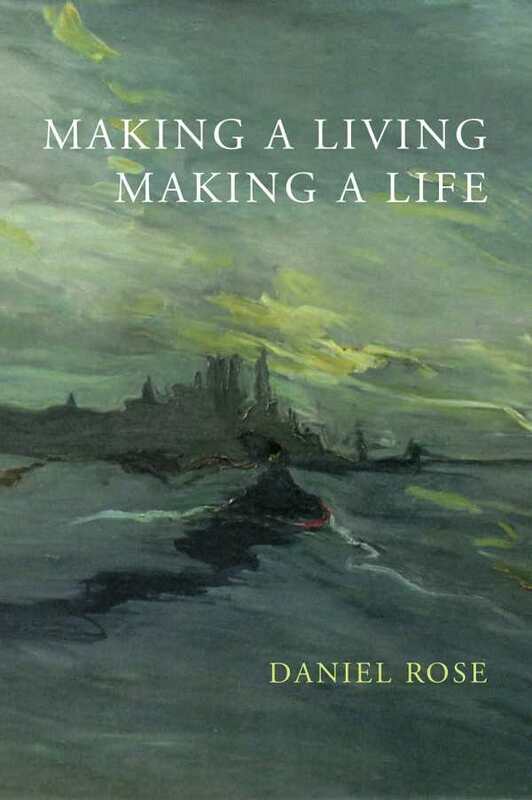 Daniel Rose should be applauded for living his personal credo and for urging others to sign on to the goal of not just “making a living” but also “making a life.” This book is a tribute to an individual who has made a life constructively engaging with the world.